Organizers of ALITI Africa-Dubai Fashion Week (AADFW) is calling on interested African designers to participate in 2015 edition of the event. Africa has been getting a lot of attention lately in the fashion world, and for good reason. 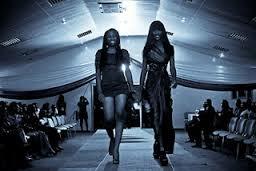 Swaziland has a chance of breaking into the global fashion industry spotlight. This is with the kingdom’s participation at the first annual 2015 ALITI Africa-Dubai Fashion Week (AADFW). The Swaziland National Council of Arts & Culture (SNCAC) CEO Stanley Dlamini expressed excitement at this opportunity and stated that participation at this platform would steer the local fashion industry in the right direction. ALITI Africa-Dubai Fashion Week has extended an invite to the local fashion designers through the SNCAC to join Botswana, Ghana and Nigeria at this esteemed event to showcase their collections. The three-day AADFW kicks off on September 24 at the Sheraton Dubai Creek in Dubai United Arab Emirates. “This is the kind of breakthrough the local fashion industry needs,” he added. He invited local fashion designers to collect application forms at the SNCAC offices situated in Coates Valley in Manzini. The AADFW will be the first fashion week of its kind to focus on bringing the vast majority of talented African designers and African industry professionals all in one location - Dubai, United Arab Emirates. Since the year of 2010, a new and contemporary wave of African Fashion has been taking over the world. Through the vibrant textiles that the continent has to offer, the world's impression of what was once known as "The Dark Continent" is changing and Africa is now known as a thriving continent full of promise and investment opportunities.